Idea For: Mild to moderate sprain, joint stabilisation and arthritis. 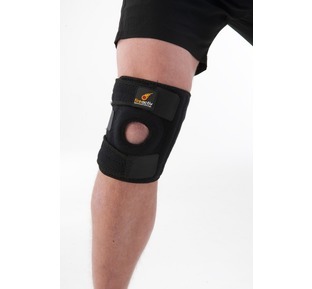 Chronic Laxity - This is often characterised by a feeling of an unstable knee with excessive motion. It often follows injuries to the ligaments and or supporting muscles of the knee and may predetermine the onset of osteoarthritis. Easy to put on and off due to pull tabs. Adjustable straps to allow for extra comfort and compression. 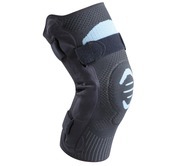 Dual hinged which provides the wearer maximum stability and support. 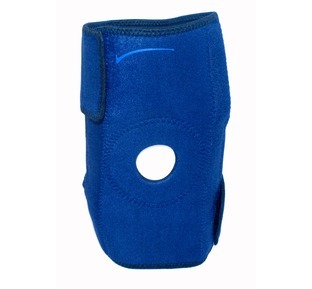 This Genu Dynastab by Thuasne has been designed to help support the knee whilst being active. 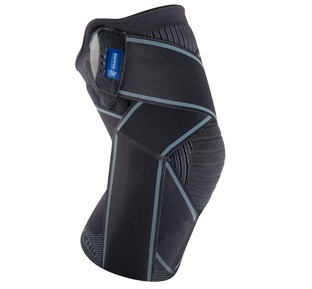 The support provides the knee with well rounded comfortable wear. 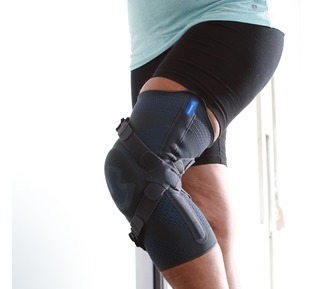 The support incorporates a hinge mechanism to both the medial and lateral aspects of the knee, which helps with joint stabilisation during movement.